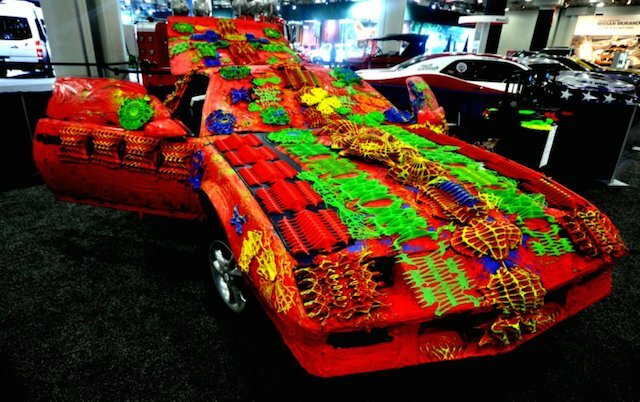 Camaro Covered in 3D-Printed Designs Steals New York Auto Show​_3d Printing Latest News_Shenzhen Affinity 3D Printers Intelligence Technology Co., Ltd.
A Chevy Camaro gets tricked out with zigzagging 3D-printed pigments and patterns in Ioan Florea’s newest 3D-printed masterpiece, presented at New York’s International Auto Show. 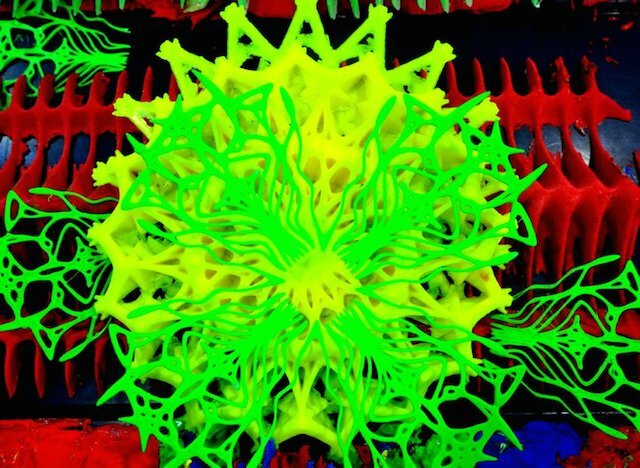 Florea, a self-described “digital archeologist,” excavates the coded underbelly of cyberverse for intricate 3D shapes. With this readymade arsenal of digital designs, Florea then demonstrates numeric code’s unexpected aesthetics by converting functional objects—cars, washing machines, and even entire homes—into spectacular large-scale sculptures. 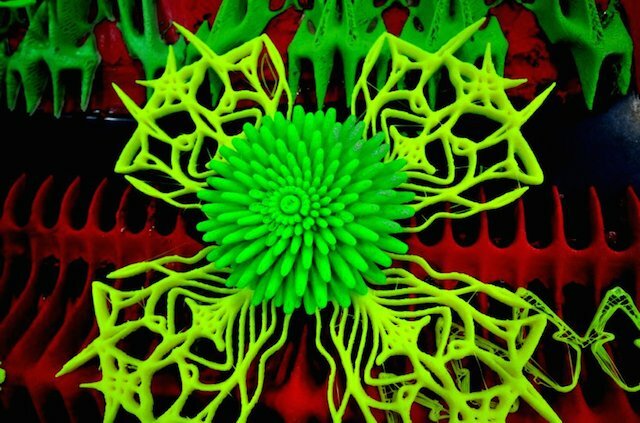 In light of his new work, there is little wonder why the Romanian-born artist has been called the “Wizard” of 3D printing. At last year’s Auto Show, for example, the artist also caused quite a stir in the 3D community, traveling from Illinois to the show’s venue in New York with a 3D-printed mobile home in tow. 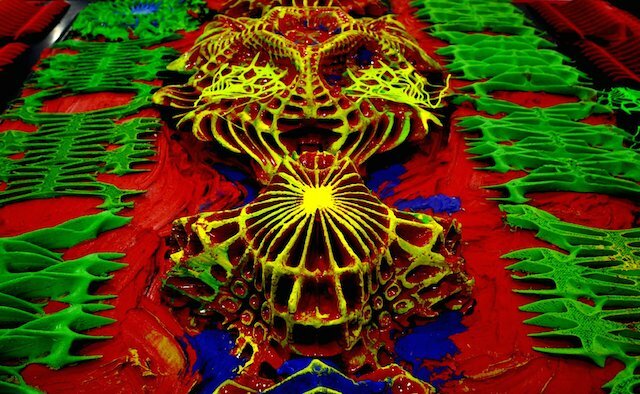 Once he arrived, the artist rolled out a 3D printed liquid metal Ford Gran Torino, gleaming in metallic, otherworldly designs. 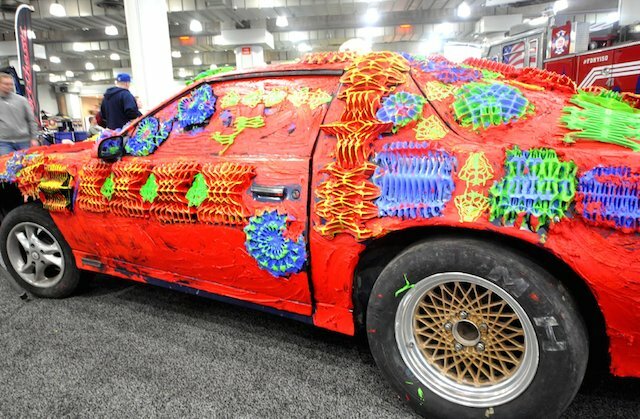 Much like his Torino, Florea’s colorful Camaro blends his “digital archeology” with the practice of readymade art. “For me,” Florea tells the Creators Project, “the car is an industrial, ready-made, functional object that I turn into [a] nonfunctional object of art.” The bright, almost biological topography of the car further emphasizes Florea’s method with a metaphorical flare: “The car looks like [it] was brought up from the bottom of the ocean,” he explains, while, at the same time, the designs themselves have been “brought up” from bottom of his computer. In order to incorporate his designs onto the car’s uneven surface, Florea decided upon the reliable materials of nanoclay and nanopigments. “The nanoclay has the capacity to create internal tridimensional structures at the nano-level,” he says, allowing it to self-regulate and organizing its own material behavior. 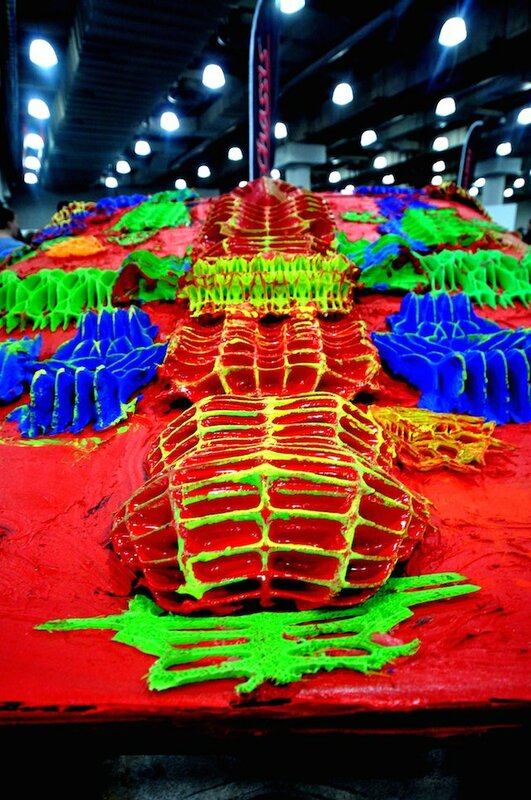 The pigment works alongside the clay, setting the pristine alignments and helping the structures retain their form. With his most recent creation still practically cooling, Florea says he's already begun his next phase of printing. The artist wants to continue exploring readymade digital imagery by focusing his talents onto a much smaller scale with a series of 3D-printed, pigment-fused deposition paintings—the "supertextural" opposite of Murakami's superflat artworks, the artist explains in a press release. As for his long-term goals, Florea has much grander plan: to “build a farm of open source 3D printers to be able to bring to light the thousands of shapes” that are just waiting to be discovered, he says, at the depths of his hard drive.